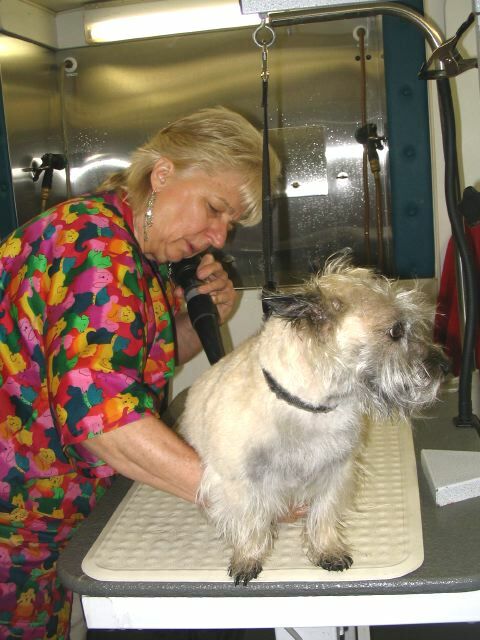 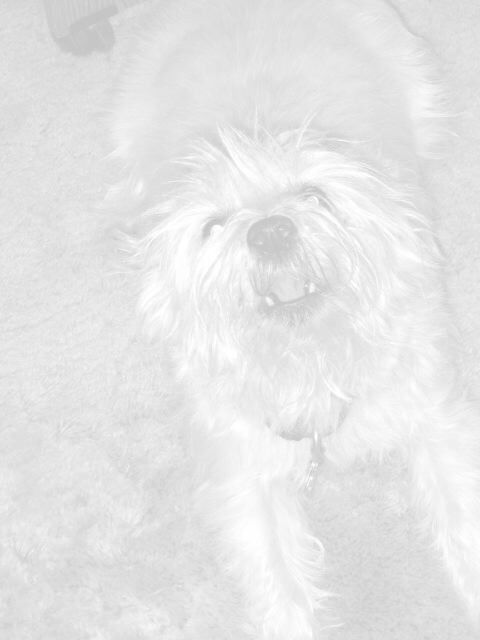 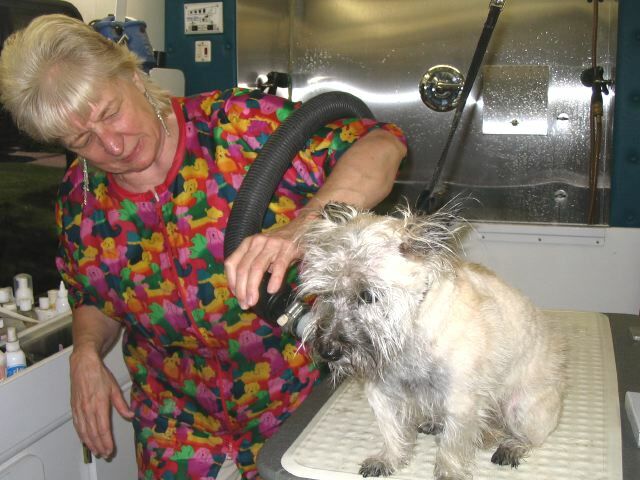 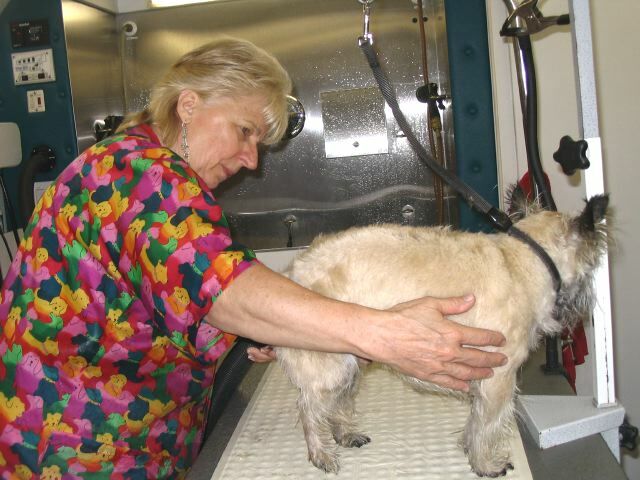 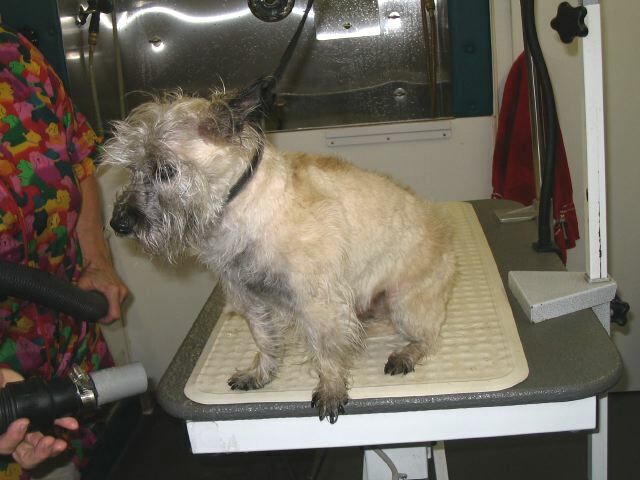 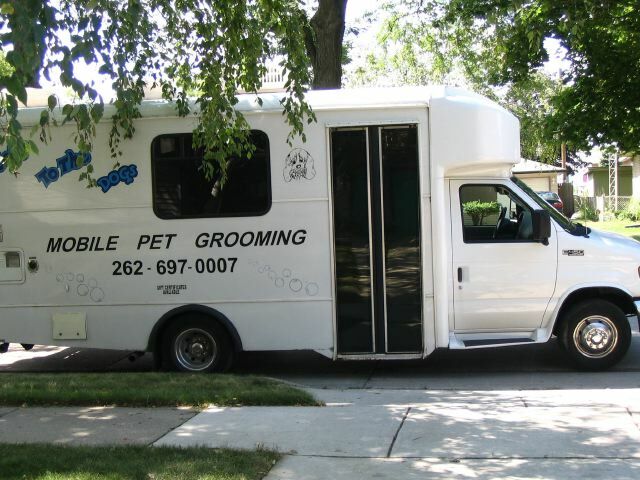 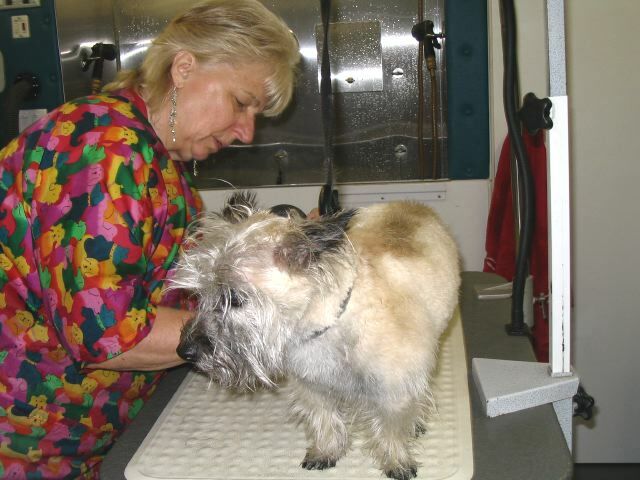 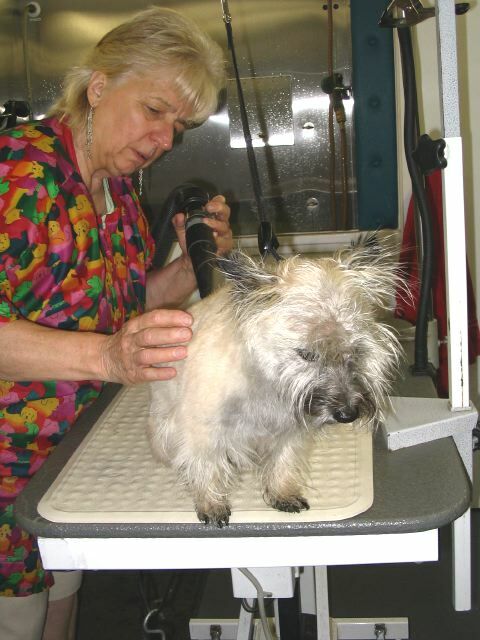 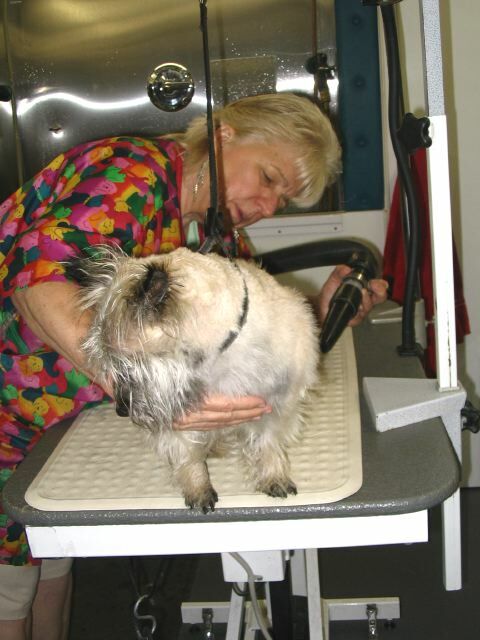 For a variety of reasons - taking FOUR unvaccinated dogs to a groomer, one of which will NOT be crated, one of which will be terrified, and one of which has only two working legs & body parts that are not exactly where they should be - we thought a mobile groomer would be a great idea, both for the dogs and for ourselves. 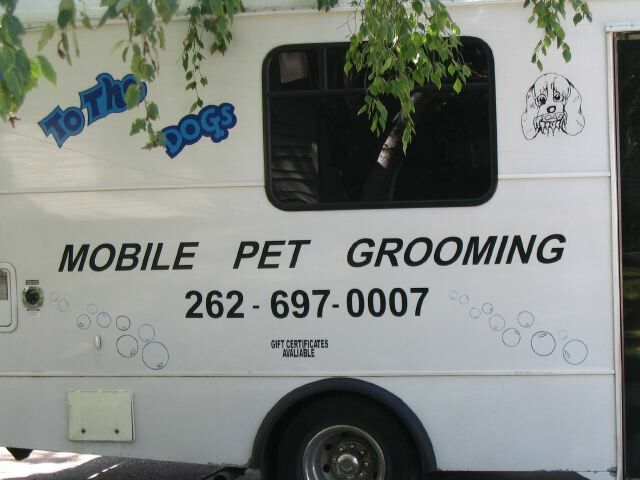 So here comes Barb of GOING TO THE DOGS . . .